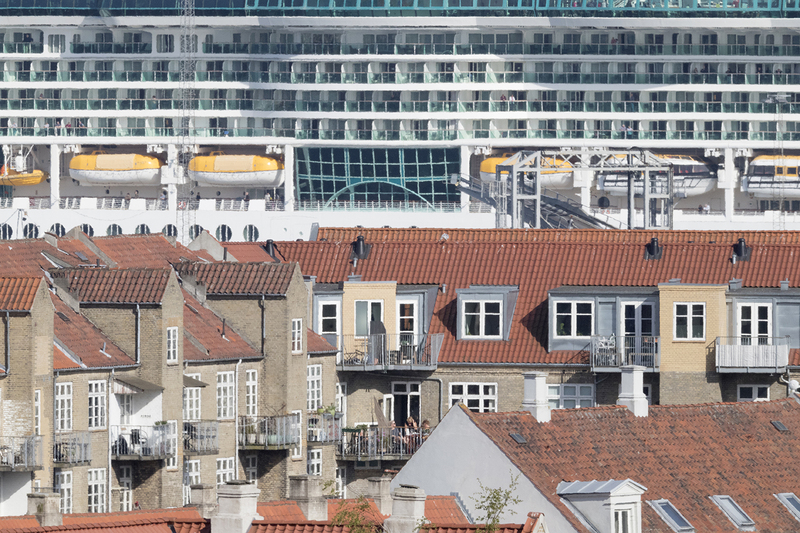 My office is on the fifth floor in one of the highest located neighbourhoods in Aarhus overlooking the port entrance. However, the distance is quite long, so a lot of focal length is needed when I mostly photograph cruise ships departing illuminated by the afternoon sun. Depending on the camera body, full frame or a cropped APS-C, these photos from the past nine years are shot within a focal length range of 200 to nearly 1,000 millimetre.